The web space is full of amazing recipes and beautiful food photos. Yet, for many, finding that one authentic Indian regional recipe is tough. Some recipes are on YouTube while some scattered in various blogs. Secret Indian recipe is a platform that is filling this gap. Here, you can find real Indian regional recipes by various home cooks, bloggers and food lovers. We are sure you will find your regional recipes here, and just in case you don’t drop us a line here and we will source it for you. 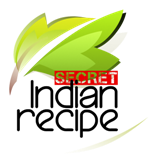 Secret Indian recipe also provides a user friendly platform to new and veteran Indian food bloggers to reach out to a larger global audience who are looking for regional Indian recipes. We respect the time and energy a blogger puts into creating his/ her recipes. Therefore, all recipes uploaded on SecretIndianRecipe can be linked back to your original blog. We believe in giving recipe authors the due recognition they deserve. Not only are your recipes read on Secret Indian Recipe, but they are also virally shared on our social media platforms such as facebook, twitter, pinterest etc. Wait, there’s more, the top 10 recipes get a further push through our “Secret Indian Recipe” newsletter, and this helps your recipe land right into the inbox of food lovers.